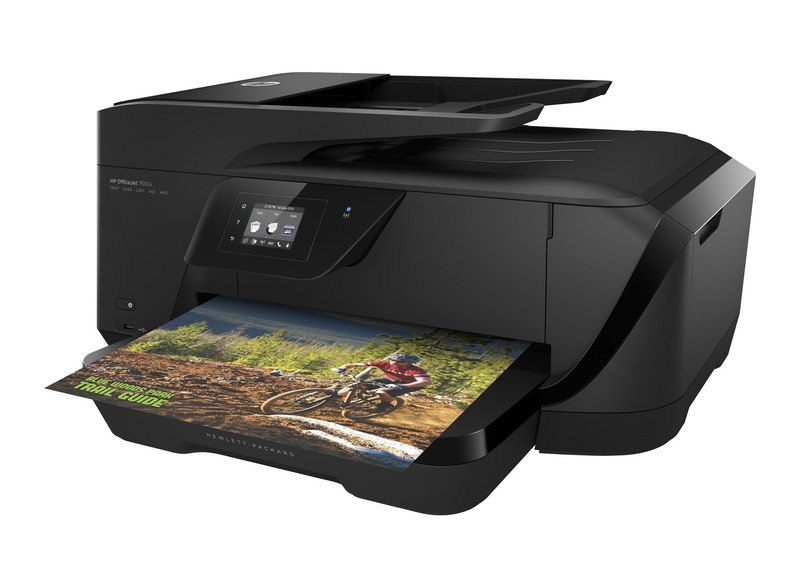 HP Multifunctional Office Printer OfficeJet 7510 Wide Format AiO Inkjet Colour. Help your business stand out with stunning, wide-format colour prints at a price that you can afford. Accelerate productivity and keep business moving with a wide range of tools. Create professional-quality marketing materials â€“ right in the office. - Scan, copy and fax from one device and print in a wide range of sizes â€“ for virtually any business need. - Easily access, print and share resources on a network with built-in Ethernet and wireless capabilities. - Scan to your USB drive, PC and email, and fax to your PC for quick and easy access. - Walk up and print or scan right from a memory device via the easy-access USB port. - Help your business save with low-cost printing â€“ from photos to borderless marketing materials. - Ensure you never throw away useable ink, with Original HP individual ink cartridges. - Count on laser-quality black text and stunning colour graphics and photos â€“ right in the office. - Create professional-quality borderless flyers, brochures and more â€“ directly from your wide-format all-in-one. - Access time-saving, built-in business apps â€“ just tap and swipe the 6.73 cm (2.65-inch) touchscreen. - Easily print from your mobile device and stay connected on the go â€“ even without accessing a network. 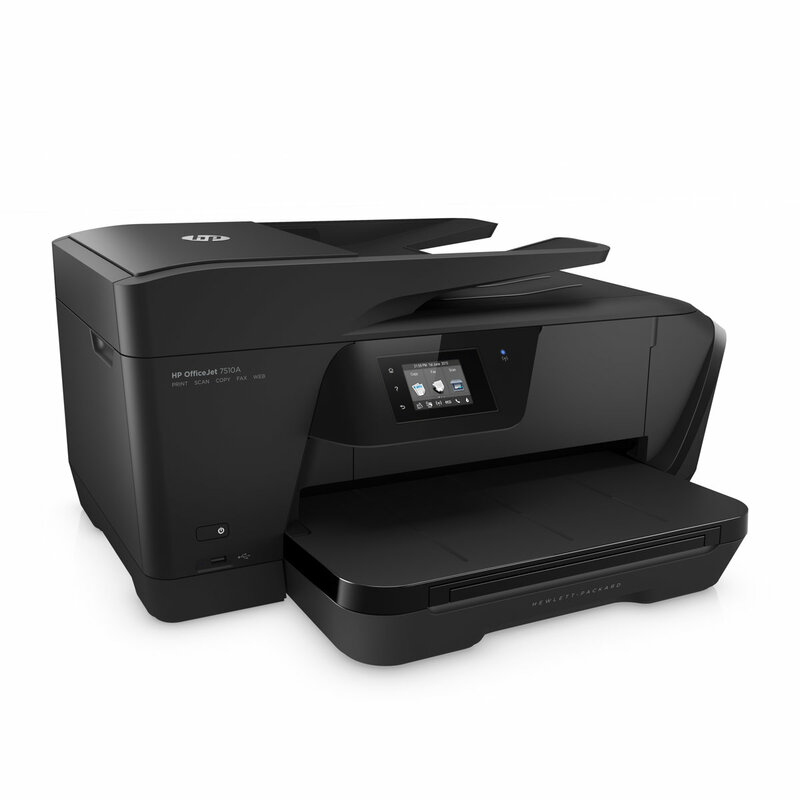 - Manage printing tasks and scan on the go with the free HP All-in-One Printer Remote mobile app. - Easily scan identification cards and other two-sided documents onto a single page. Save energy. Save paper. Save time. - Schedule your printer to turn on when you need it and off when you don't â€“ and save up to 40% on energy use. - Conserve resources, using digital fax capabilities that enable you to view and store faxes electronically.